Lawyers in Pakistan have staged a nationwide strike a day after a suicide attack in Quetta killed more than 70 people, including many of their colleagues. Two groups have claimed responsibility for the bombing. Pakistani lawyers boycotted courts and staged protests around the country on Tuesday to condemn the deadly suicide attack on Civil Hospital in the southwestern city of Quetta. Schools, markets and businesses across the city remained closed as the government announced three days of mourning. Most public transport was suspended and extra police were deployed at the site where a suicide bomber blew himself up on Monday. The explosion went off as some 200 lawyers gathered outside the hospital to mourn the president of the Baluchistan Bar Association, Bilal Kasi, who had been shot dead earlier in the day. 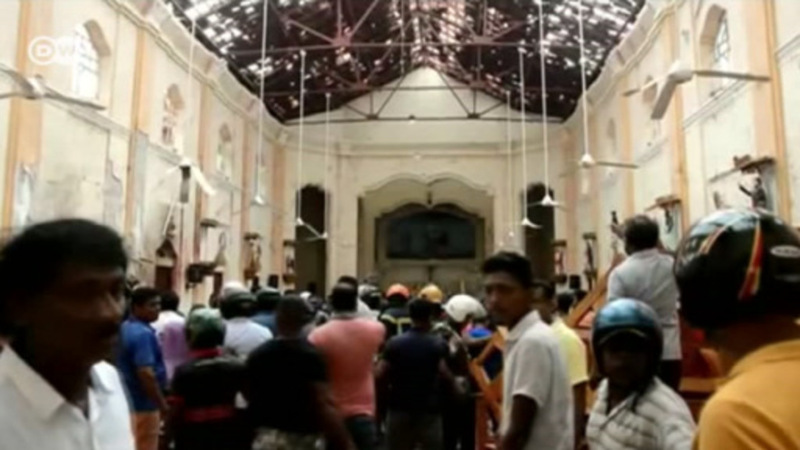 Abdul Rehman, the hospital's medical superintendent, said the death toll had risen to 74 overnight. More than 100 people were also injured in the blast. A faction of the Pakistani Taliban called Jamaat-ul-Ahrar said it had carried out the attack to avenge the state's military offensive against Islamist militants. However, there was also a claim of responsibility from the "Islamic State" (IS). The terror group announced through its media arm, the Aamaq News Agency, that a "martyrdom-seeking soldier from the Islamic State" detonated his explosives amid a lawyers' gathering in Quetta. Neither claim has been verified, although officials have expressed doubts over whether the Middle East-based IS movement was involved. The Sunni group has attracted some support in Pakistan, but has largely struggled to gain a foothold there due to competition from established groups like the Taliban. Jamaat-ul-Ahrar has carried out several attacks in Pakistan in recent years, including a bombing on Easter Sunday this year that killed 75 people in a crowded park in Lahore. It was added to the United States' list of global terrorists last week. As part of Tuesday's actions, lawyers gathered outside the Supreme Court in the capital, Islamabad, to pray for the victims of the bombing. Demonstrations were held in several other major cities, with protesters calling on the government to do more to protect lawyers, who are seen by some militants as an extension of the state and therefore legitimate targets. "Lawyers are relatively more vocal against militancy and they are fighting cases against people accused of terrorism, so it would make sense that they are being targeted," Ali Malik, a Lahore-based lawyer, told news agency Reuters. "An attack on lawyers makes a mockery of the law enforcement agencies, it undermines the promises of the state against terrorists and breeds fear among vulnerable citizens." Quetta is the capital of Pakistan's Baluchistan province, which borders Afghanistan and Iran and is plagued by sectarian violence and Islamist militancy. Numerous attacks have rocked Pakistan on the last day of the fasting month of Ramadan. The explosions and a shooting have killed dozens and been dubbed "Pakistan's Black Friday."